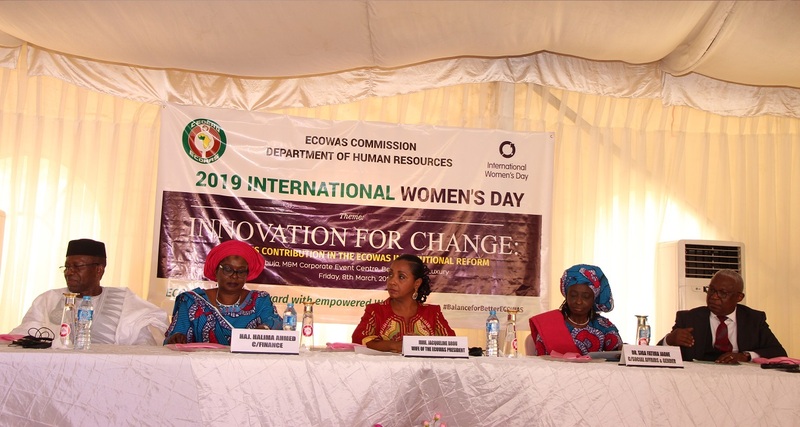 Abuja, 11th March, 2019.The Commission of the Economic Community of West African States (ECOWAS) is consolidating its gender equity and women empowerment drive in order to create the conditions for ECOWAS citizens of both sexes, to have the full benefits of human security and development. In this regard, the Commission is striving to facilitate the building of nations where women and men can reach their full potentials and participate as equals in the development of their societies with corresponding benefits from the commonwealth of the region. These disclosures were made by the ECOWAS Commission’s Commissioner for Social Affairs and Gender Dr. Siga Fatima Jagne on the occasion of the ECOWAS staff celebration of the International Women’s’ Day on the 8th of March 2019 in Abuja, Nigeria. According to Commissioner Jagne, the founding fathers of ECOWAS recognised the need for the full mobilisation of human resources (men, women and youth) drawing strength from the mandate of Article 63 of the ECOWAS Treaty for the formulation of policies and development of programmes which enhance women’s economic, social and cultural conditions. Stressing that the promotion of gender equality and women empowerment are critical for poverty eradication, Dr. Jagne said a wide range of activities are being embarked upon by the Commission in the pursuit of an ideal gender situation for the region. The activities stemming from the ECOWAS gender-related policies and plans of action were listed to include the ECOWAS plan of action to combat trafficking in persons (2006), ECOWAS women, peace and security plan of action, youth policy and strategic plan of action, child policy as well as the ECOWAS Gender and Elections Strategic Framework and Action plan, among others. 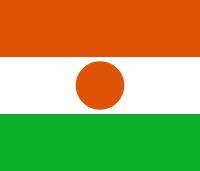 The other highlighted areas of exertions, bordered on education and training of women, capacity building through training and sensitisation, health, violence against women, ending child marriage in the ECOWAS region, partnership and networking for gender equality and women empowerment as well as gender mainstreaming. 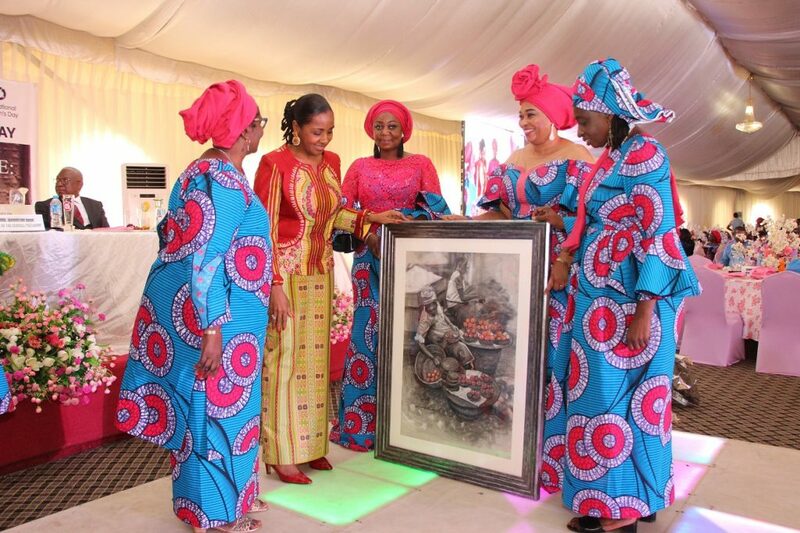 On the issue of women and the economy, the Commissioner noted that the Commission, through the appropriate Department, has been promoting women’s access to and control of economic resources and opportunities through such initiatives, as the establishment of Business Incubator for African Women Entrepreneurs (BIAWE) project in the ECOWAS region. 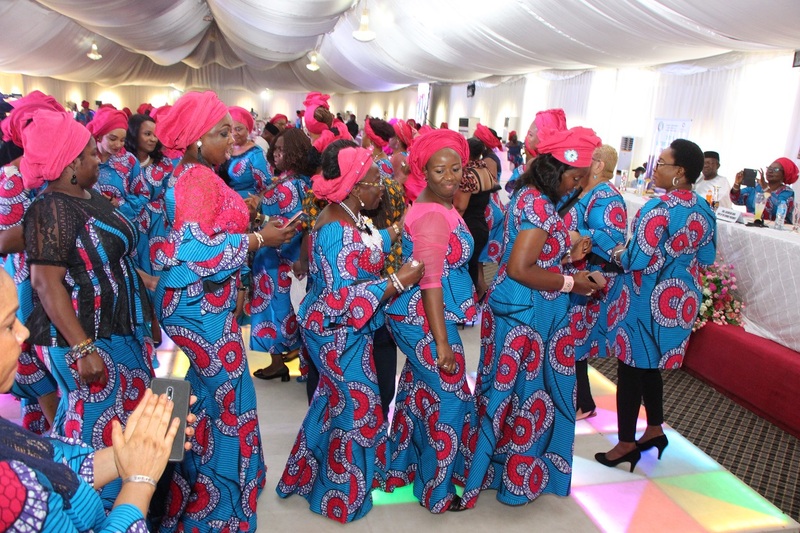 On her part, the Commission’s Commissioner for Finance Mrs Halima Ahmed urged the women of the region to work together in the interest of the collective advancement of their gender. Noting that the best deal has to be gotten out of the institutional reforms happening at ECOWAS, she proposed the setting up of a female university of West African citizens as part of the strategies to get women to make their ultimate contributions to societal development. 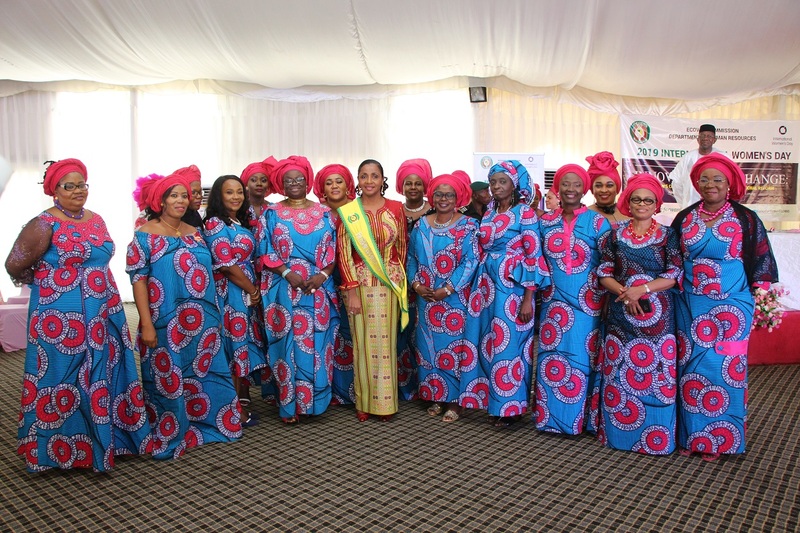 Also felicitating with women in the region, the wife of the president of the ECOWAS Commission president Mme Jacqueline Brou reminded them of their essence, as a “unique special flower” of the society. Noting that the achievement of women worldwide are appreciated, she however lamented that despite the strides being made, “the status of women is still characterised by inequality and dependency”. 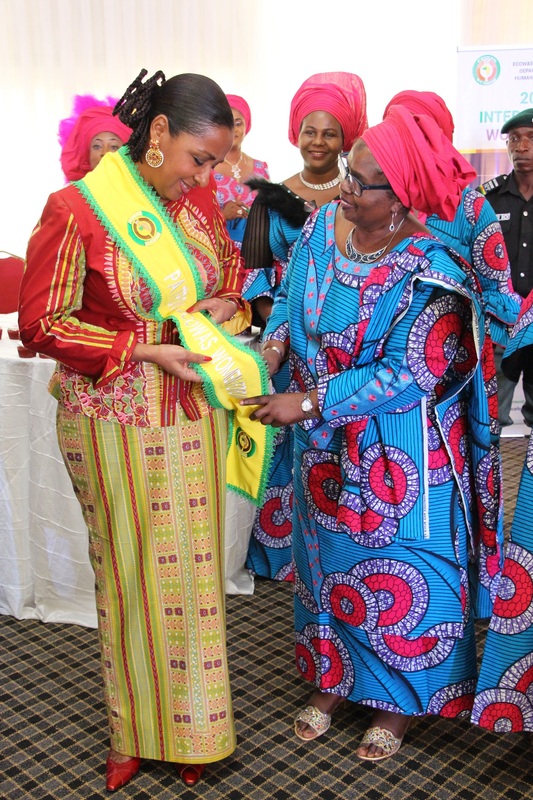 Prior to the cutting of the anniversary cake, presentation of gifts and her investiture as matron, ECOWAS Women’s Forum, she emphasized the need to explore the best innovative ways of reducing gender inequality while advancing the position of women in the region in every respect. The occasion was enriched by thought-provoking goodwill messages, short drama and long service awards. The President of the newly inaugurated ECOWAS Commission Women’s Forum (ECWF) Hajiya Raheemat Momodu quoted helpful sources to drive home the point that the time for greater gender sensitivity in the workplace and in the society in general, has come. The event was graced by ECOWS senior management staff including the Commission’s Commissioner for Trade, Industry and Private Sector Promotion Mr. Mamadou Traore, the Acting Executive Director, ECOWAS Regional Competition Authority Mrs Henrietta Didigu, Heads and Representatives of ECOWAS institutions, Ambassadors accredited to ECOWAS among others.